A New York court heeds Obama administration's request and dismisses a lawsuit filed in 2014 by a human rights association against Modi for his involvement in the 2002 Gujarat massacres. For Washington, the Indian politician was "persona non grata" before his election as prime minister. New York (AsiaNews) - A US court has dismissed a lawsuit against Indian Prime Minister Narendra Modi for crimes against humanity during the 2002 Gujarat riots. In New York, the judge ruled yesterday that, based on the Obama Administration's determination, India's Prime Minister Modi was entitled to immunity as the sitting head of a foreign government. On 27 February 2002, a group of Muslims attacked and set fire to the Sabarmati Express. Most passengers on the train were Hindus - mostly women, children and elderly - returning from a pilgrimage to Ayodhya. The attack, which left 58 people dead, sparked violent sectarian riots across Gujarat with the state's Muslim community paying the highest price. Out of more than a thousand people confirmed dead, 790 were Muslims and 254 Hindus. At least 253 people were also reported missing. In addition, 523 places of worship, including three churches, were damaged; 27,901 Hindus and 7,651 Muslims were arrested. Narendra Modi, who was Gujarat's chief minister at the time, was blamed for what led to the riots, for failing to control the situation and then for trying to cover everything up. For his part, Modi has always rejected the accusations, and has never officially apologised for the violence. 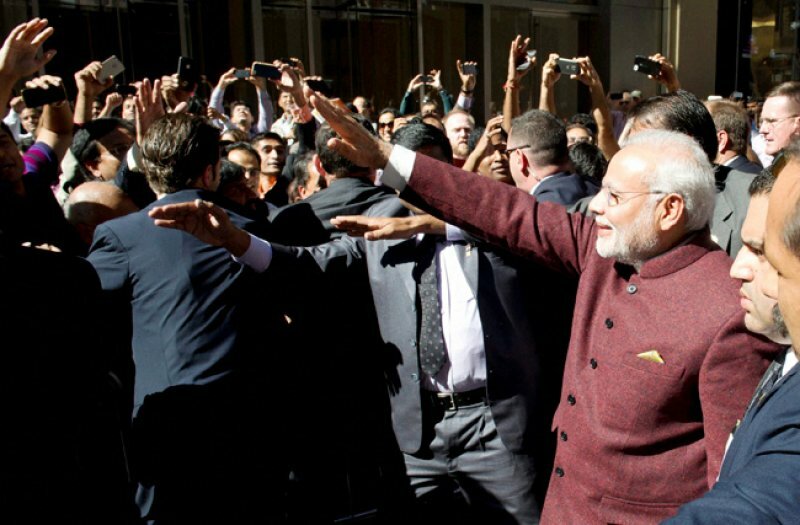 Following the massacres, the United States and several European countries boycotted Modi for more than ten years. Under President Bush, the United States revoked his visa because of serious violations of religious freedom under the International Religious Freedom Act. However, after the Bharatiya Janata Party won last year's parliamentary election, many countries radically changed their stance. US President Barack Obama even invited the Indian leader to visit the United States. Last September, the American Justice Centre filed a lawsuit against Mr Modi, alleging he did nothing to stop the riots. The 28-page complaint charged the prime minister with "committing crimes against humanity, extra-judicial killings, torture and inflicting mental and physical trauma on the victims, mostly from the Muslim community".